Attention! 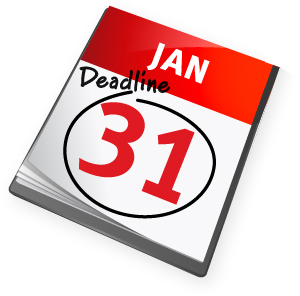 Form 2290 deadline approaching soon in fortnight this New year. The Form 2290 HVUT tax returns are due by the end of this month for vehicles that are into service beginning December 2017. Penalties for HVUT non-compliance are serious money; it is equal to 4.5 percent of total tax due, assessed on a monthly basis up to five months. Late filers who don’t make an HVUT payment also face an additional monthly penalty equal to 0.5 percent of total tax due. Additional interest charges of 0.54 percent per month accumulate as well. Well, who would wish to spare the hard earned money towards paying a late filing fee with interests, Not nobody right! Hence, don’t hold up until the deadline to be a last moment filer that would make easy things hard and hard thing even harder; that even tends us to commit mistakes over the Form 2290 while filing in a rush. Form 2290 is generally due by June and its payable until the end of August. Having said that this rule stays brittle only for regular annual renewals. Else, the Form 2290 must be filed by the last day of the Month Following the month of First Use. On that basis, the end of this month would be the deadline for vehicles that is been used on the road since December 2017. Wondering how to get started? It’s pretty simple. If you are a new user, log on www.truckdues.com and click register to setup your business profile then report your vehicles over the Form 2290 and to have your tax return filed & approved by the IRS ASAP. In case of you being a returning user, you just need to login to your account and follow the same procedure except registration. Pay only before filing your return as registration is absolutely free here. The general turnaround time to receive an update from the IRS over your filed tax return would be 30-45 minutes. Hence, soon as you e-file your tax returns through www.truckdues.com just wait until few minutes to get a status update in your registered e-mail address. You can also opt for a FAX option by sparing $1 extra, in case you need to receive a hard copy version of the IRS digital watermarked copy of Schedule 1 in your FAX machine. This entry was posted in 2290 e-file, American Trucking, Form 2290, HVUT 2017 -2018, Truck Tax Online and tagged 2290 e file, Agriculture Vehicle, American Trucking, can form 2290 be efiled, can you e-file form 2290, e file form 2290 irs, e file heavy highway vehicle use tax return, e-file for form 2290 excise tax filers, e-file-Form-2290, e-filing your form 2290, ein, federal heavy highway vehicle use tax, Form 2290, Form 2290 Amendment, form 2290 application, form 2290 category w, form 2290 contact number, form 2290 download, form 2290 due, form 2290 e file providers, form 2290 exemption, form 2290 explained, form 2290 extension, form 2290 federal excise tax, form 2290 filing date, form 2290 heavy highway vehicle use tax return instructions, form 2290 heavy highway vehicles, form 2290 help, form 2290 highway use tax, form 2290 instructions 2017, form 2290 irs online, form 2290 july 2017, form 2290 late penalty, form 2290 renewal, heavy duty truck tax, heavy goods vehicle tax bands, heavy goods vehicle tax rates, heavy highway motor vehicle use tax, heavy highway vehicle tax, heavy highway vehicle tax 2290, heavy highway vehicle tax form 2290, heavy highway vehicle tax return, heavy highway vehicle tax return form 2290, heavy highway vehicle use tax, heavy highway vehicle use tax contact, heavy highway vehicle use tax deductible, heavy highway vehicle use tax due date, heavy highway vehicle use tax e file, heavy highway vehicle use tax efile, heavy highway vehicle use tax exemption, heavy highway vehicle use tax form, heavy highway vehicle use tax information, heavy highway vehicle use tax instructions, heavy highway vehicle use tax mailing address, heavy highway vehicle use tax online, heavy highway vehicle use tax phone number, heavy highway vehicle use tax refund, heavy highway vehicle use tax return, heavy highway vehicle use tax return address, heavy highway vehicle use tax return due date, heavy highway vehicle use tax return form 2290, heavy highway vehicle use tax return instructions, heavy highway vehicle use tax return online, heavy truck excise tax, heavy truck fuel tax, heavy truck highway tax, heavy truck highway use tax, heavy truck road tax, heavy truck road use tax, Heavy Truck Tax, HEAVY TRUCK TAX 2290, heavy truck tax deduction 2017, heavy truck tax form, heavy truck tax irs, heavy truck tax write off heavy vehicle use tax online filing, heavy truck use tax, heavy vehicle excise tax, heavy vehicle fuel tax credit, heavy vehicle road tax, Heavy vehicle tax, heavy vehicle tax 2290, heavy vehicle tax break, heavy vehicle tax clearance hawaii, heavy vehicle tax credit, heavy vehicle tax credit 2017, heavy vehicle tax deduction 2017, heavy vehicle tax form 2290, heavy vehicle tax payment, Heavy Vehicle Use Tax, heavy vehicle use tax cost, heavy vehicle use tax due date, heavy vehicle use tax exemption, heavy vehicle use tax exemption form, heavy vehicle use tax fees, heavy vehicle use tax filing, heavy vehicle use tax form, heavy vehicle use tax instructions, heavy vehicle use tax online, heavy vehicle use tax questions, heavy vehicle use tax refund, heavy vehicle use tax return, heavy vehicle use tax return form 2290, heavy vehicle weight tax, how do i e file form 2290, how to e file form 2290, HVUT, hvut 2017, HVUT 2017 -2018, hvut 2290, hvut 2290 due date, hvut amount, hvut cost, hvut due date, hvut filing, hvut form 2290, hvut form 2290 instructions, hvut form 2290 online, hvut instructions, hvut tax, IRS, irs form 2290 contact number, irs form 2290 due date, irs form 2290 e file, irs form 2290 heavy highway vehicle use tax, irs form 2290 heavy highway vehicle use tax return, irs form 2290 instructions 2017, irs form 2290 mailing address, irs form 2290 online, irs form 2290 payment, irs form 2290 pdf, irs form 2290 questions, irs heavy highway vehicle use tax, irs heavy vehicle tax form, IRS watermark, is form 2290 filed annually, Late 2290, Late HVUT fees, Late HVUT payment, Owner Operators, pay heavy highway vehicle use tax online, pay heavy highway vehicle use tax return online, pay heavy vehicle tax online, semi truck tax deductions, semi truck tax depreciation, Truck Licensing, Truck Tags, truck tax online, Truck Tax Online 2290 e file, Truckers, Vehicle Identification Number, VIN Correction, what is a form 2290, what is heavy highway vehicle use tax, what is the heavy highway vehicle use tax, when is a 2290 form due, when is heavy highway vehicle use tax due, where to pay heavy highway vehicle use tax on January 9, 2018 by Truck Dues.